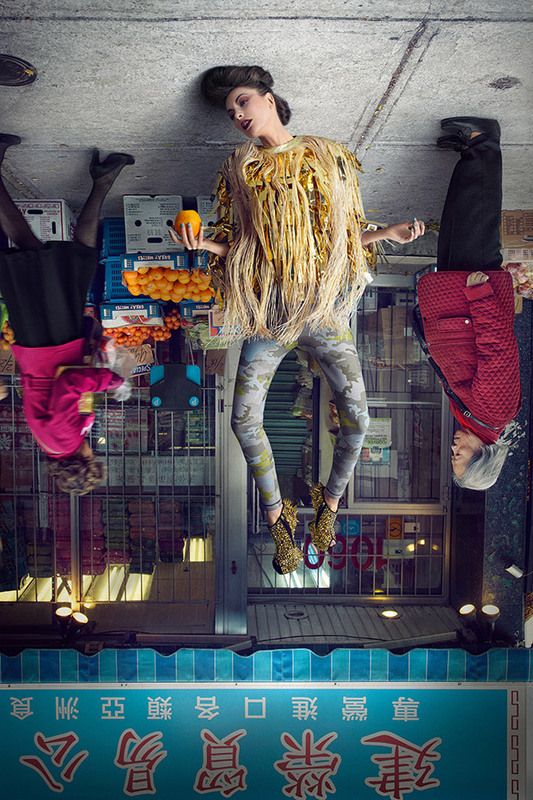 For Fortune Cookie, photographer Martin Tremblay, also known as Pinch, turns the fashion world upside down, literally. As part of a shoot commissioned by London-based Schön! 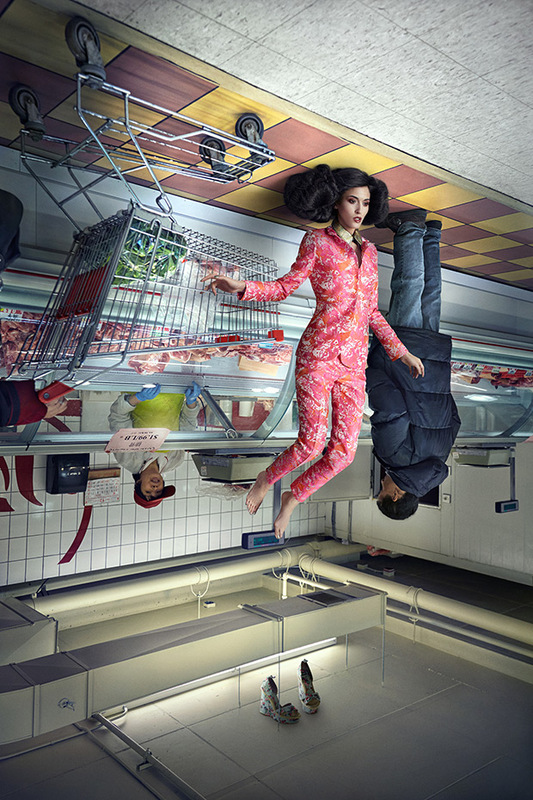 Magazine, he captures models floating, their heads planted on an overturned floor. Though the planet is jarringly inverted, normal life continues unchanged while fantastical female muses clad in Dolce & Gabbana, Marie Saint Pierre, and Givenchy adapt to a reverse gravitational pull. Here, the world of fashion and the mundanities of the everyday exist both in harmony and in conflict, moving in opposite directions and yet unified under a single, vibrant aesthetic. 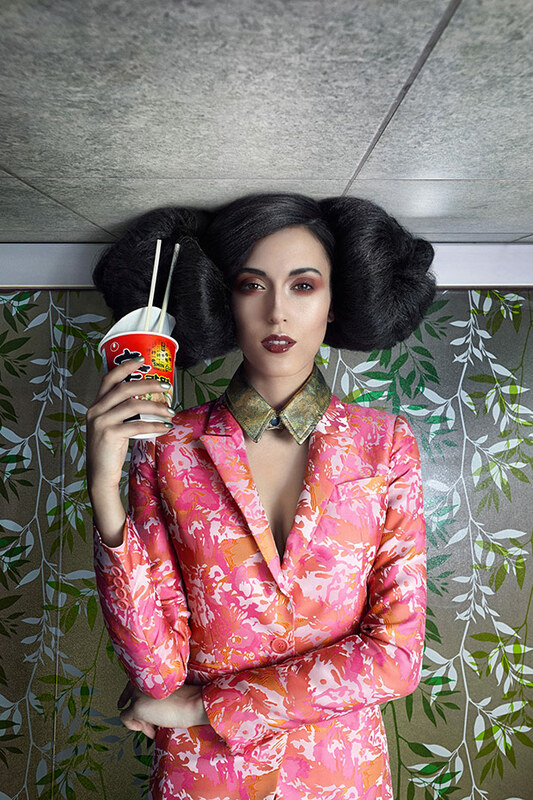 Fortune Cookie was researched over the course of two years and created with more than one hundred and sixty hours of meticulous retouching in collaboration with Visual Box. Styling was done by Pascal & Jérémie. In this magical realm, the imaginative mind runs free, suspending rational thought if only for a moment. Check out the latest issue of Schön! Magazine here.